Oklahoma allows the probate courts to admit holographic (or handwritten) wills. There are certain considerations that are very important to consider if you think a holographic will is right for you. Today on Tulsa Estate Planning Blog, Skillern Law Firm, PLLC will help you figure out if its right for you. First, there are important, strict formalities that Oklahoma requires for a holographic will to be valid. First, the will must be dated. Second, it must be signed by the testator. Third, it must be completely in the handwriting of the testator/testatrix. And lastly, it must be clear that the document is the intended last will and testament of the testator/testatrix. These four requirements are very strict. Without all four, and with a variation on all four, Oklahoma courts have refused to admit certain holographic wills. One such error is the belief that getting a holographic will notorized or witnessed is a great thing. This is not true. If you remember from above, the document must be entirely written by the testator/testatrix. A notory or a witness’s tesatament are not the same handwriting. 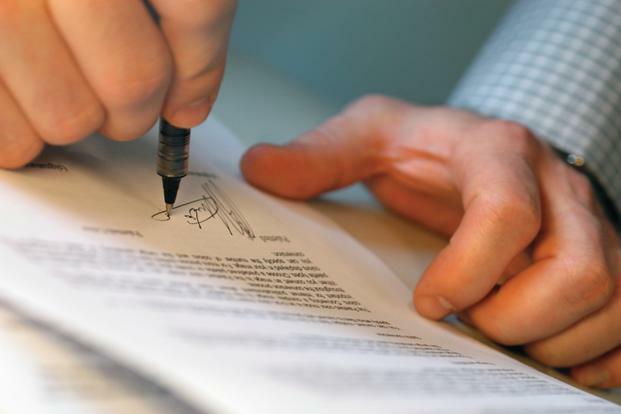 There have been some Oklahoma courts that have held that in the event it is notarized or witnesses, that does not defeat the will since it is not required to be witnessed or notarized. If you do choose a holographic will, do not chance this, and avoid a notary or witness. Many people insist they should save the money and create a holographic will. I remember in law school, someone asked the teacher in our estate planning course whether there were really any benefits to a formal, attorney-made will. Of course there is, she said, otherwise there would be no estate planning attorneys! Proving the authenticity of the will. Getting a handwriting expert, proving it was the intent, and making sure the entire document was written by the testator/testatrix is expensive, time-consuming, and doesn’t always result in probating of the holographic will. A formal, notarized, witnessed will is much easier to prove the authenticity, and many times, that is not even an issue with formal wills. Testator/testatrix omits important features of a formally prepared will that can have a severe impact of your estate. For instance, not having a residuary clause, spend-thrift clause, or many other important clauses that attorneys know are necessary. Vague/Confusing/Unmanageable instructions. Attorneys are good at using legal language that the probate court will be familiar with, and understand what the testator/testatrix desired. Many individuals are not. Furthermore, most holographic wills are vague and confusing, with different instructions concerning the same property, and avoiding discussing other property. For instance, leaving everything to “mother” does not exactly tell the court who you meant. Using vague terms, without using full names, and also using vague descriptions of property is a common mistake. Failure to distribute the entire estate. A problem arises when the holographic will distributes less than all of the testator’s estate. If, for instance, the will gives away his house, car, and bank accounts, but neglects to mention furniture and other personal property, there is a partial intestacy as to the assets not covered by the will. These assets will then pass to surviving legal heirs as determined by the state intestacy statutes, the result of which may not be what the testator intended. Just remember, all of these problems above (and the ones not listed) involve the probate trying to figure out what the testator/testatrix intended with their holographic will. This will eventually include probate attorneys charging hourly rates on your estate and beneficiaries. The cost of holographic wills may be free when they are made, but when they are probated, the cost is often much higher to the estate than a traditional, attorney-made will due to the probate costs. Formal, Attorney-made wills is the best idea to make sure your estate is distributed as you desire, without the added probate costs of holographic wills. Let Skillern Law Firm, PLLC help you distribute your assets effectively, clearly, and easily through a will today. Please contact us to set up a free appointment today. By skillernlaw in Estate Planning, Holographic Wills, Intestacy, Legal News, Oklahoma, Oklahoma News, probate, Uncategorized, Wills on February 13, 2012 .